Another great news coming from our MODELS Division and CREATIVE Division. 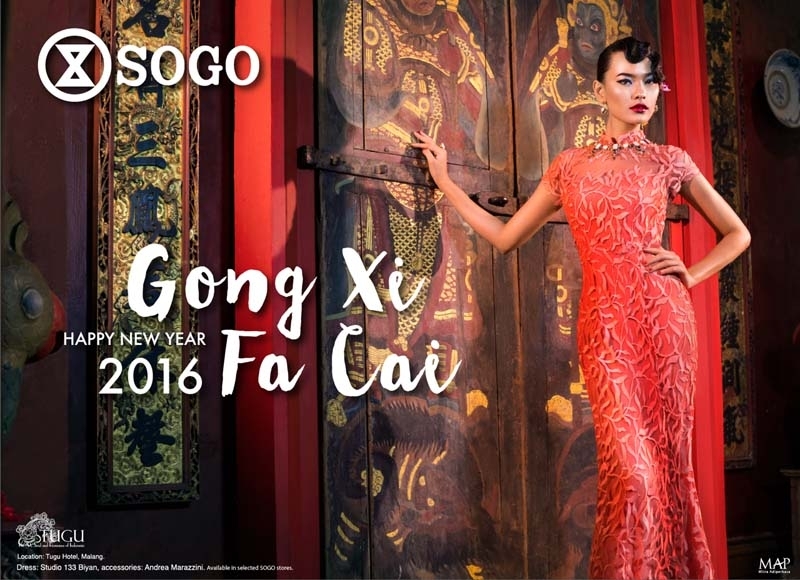 Together with Top Photographer NICOLINE PATRICIA, we work for the latest Chinese New Year Campaign of SOGO. Featuring our Top Model DARA WARGANEGARA as the face of SOGO, not forget to mention our Hair Stylist JEFFRY WELLY is working on the hairdo in a such inspiring finger wave style to fit the Oriental theme. The photoshoot took place in an ancient hotel located in East Java with such Chinese Ornament, and our DARA WARGANEGARA just fit well on the set with the hard work of all team. The campaign itself is now up on all media for SOGO Chinese New Year 2016 in all Indonesia. Proud to be part of it!